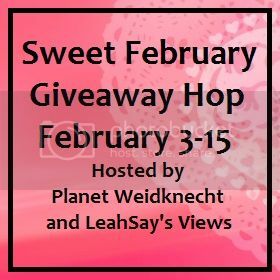 From February 3-15, you can enter giveaways at all the participating blogs listed below. Each blogger is offering a prize of $25 or more! Ju-Ju-Be Belight Diaper Bag Review and Giveaway! I always rave about how much I love Ju-Ju-Be diaper bags because they are filled with fabulous features to keep every mom organized! The Ju-Ju-Be Belight diaper bag is the bag that I am carrying around these days. Since now my little one is potty trained, I don't need to carry much with me as I did before. This bag is perfect for me. Weighing only 0.35lbs, its super light weight and easy to carry, especially while chasing a toddler around! Main Zipper closer, to keep and hold everything in. Two Insulated front pockets, perfect for bottles! Machine Washable, what could be better! Click here to see the other bloggers participating in this hop. I also love the Be Prepared TOKIDOKI bag as well! I love the new starlet too!! Love this! DD has her light, now Mommy needs one! i have never had a jujube product before but i bet i would love any of them. i have heard great things about them. I love my dizzy daisies BFF! I have a JJB BFF that I just got, I love it! I can stay so much more organized and I have 2 kids so it's plenty big for everything I need. I love this bag! Seems like it'd be perfect for this summer! Unfortunately I haven't seen any of their other products! Look forward to it! i have a BFF bag that i absolutely love i dont leave the house without it! I love jujube! Right now my favorite is a behave. I would love a BFF bag from jujube!! I've never tried a belight, but I love JJB!!! I love the Be Prepared Bag in the Pink Pinwheels, they have so many great patterns for bags!! I've personaly never tried anything from them but I've heard amazing things about the quality of their bags! I love the be prepared bags! I like the BFF bags and the be prepared bags. I like the Be Quick Wristlet in Scarlet Petals. I love the paci pods! I love the Paci Pods! They are so handy!